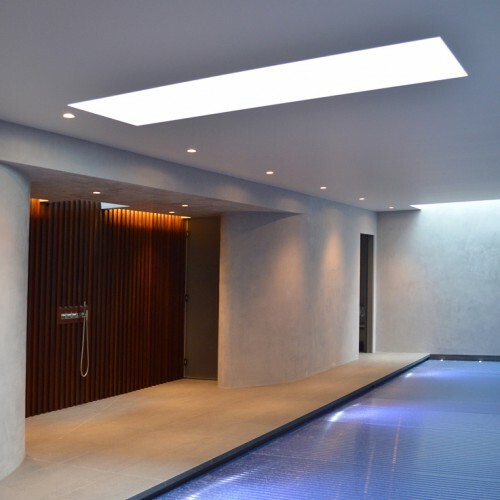 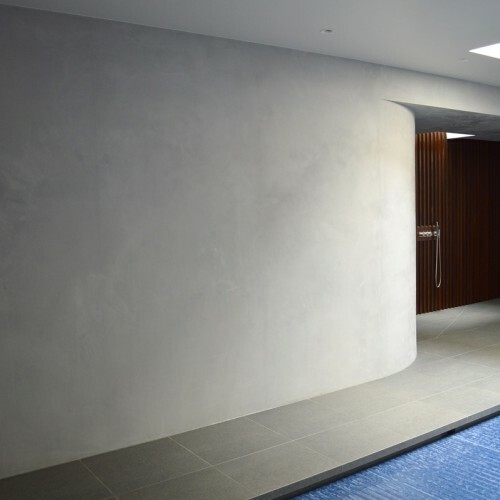 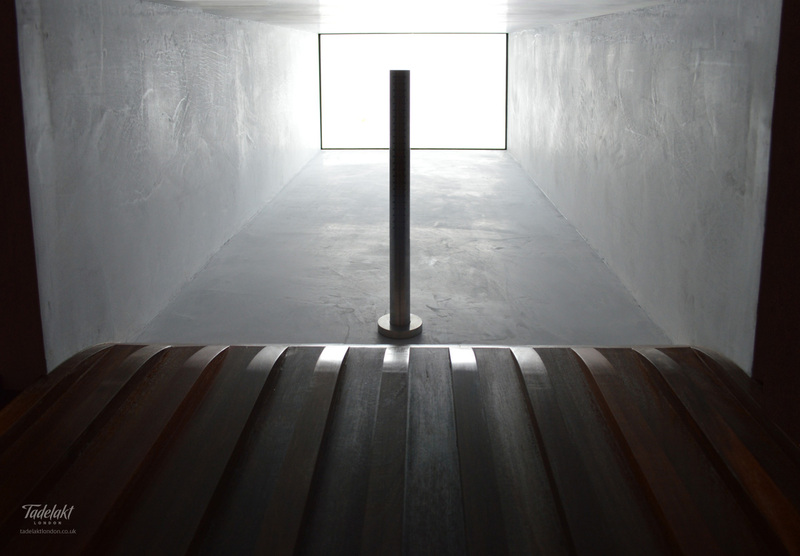 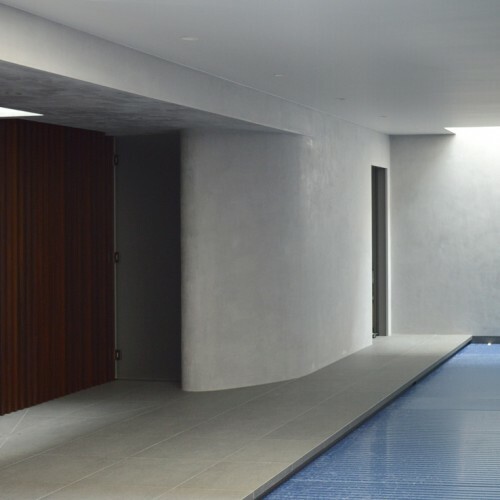 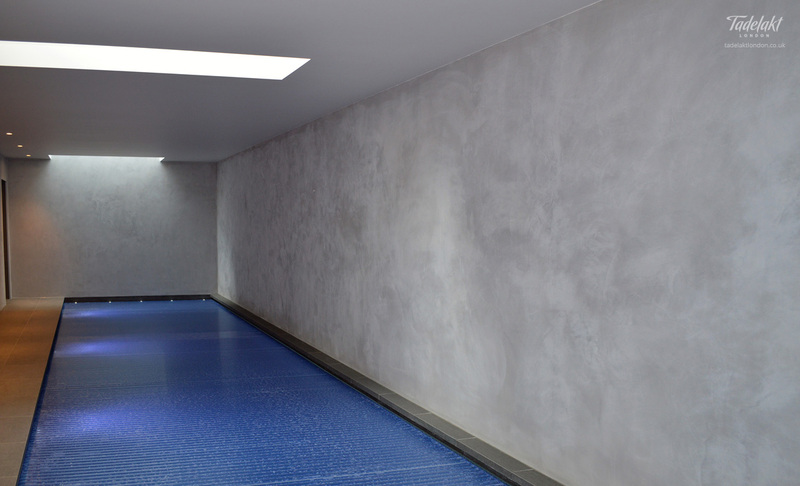 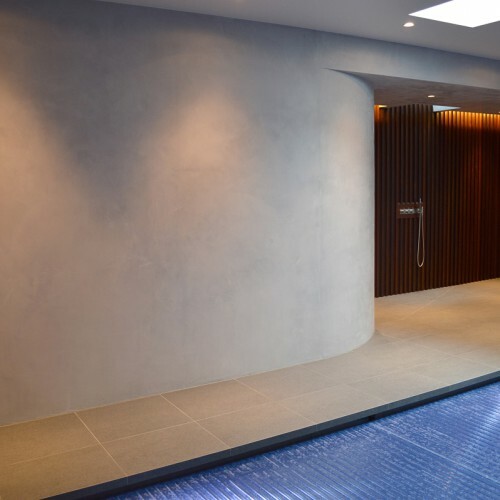 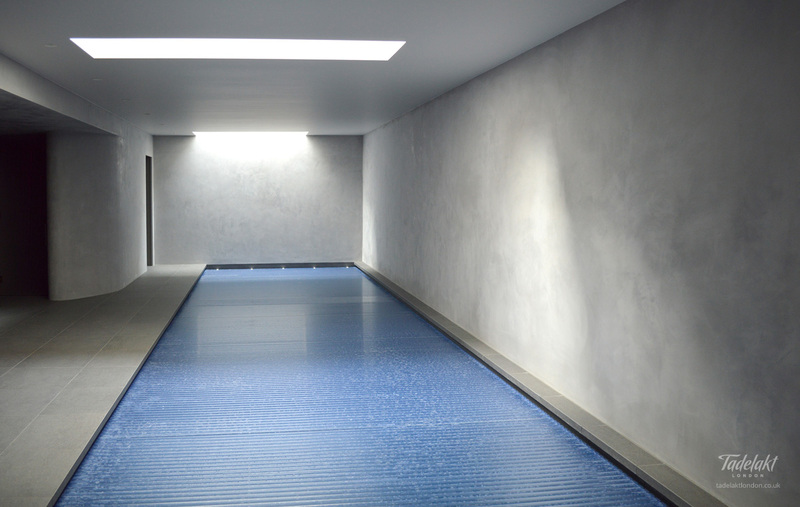 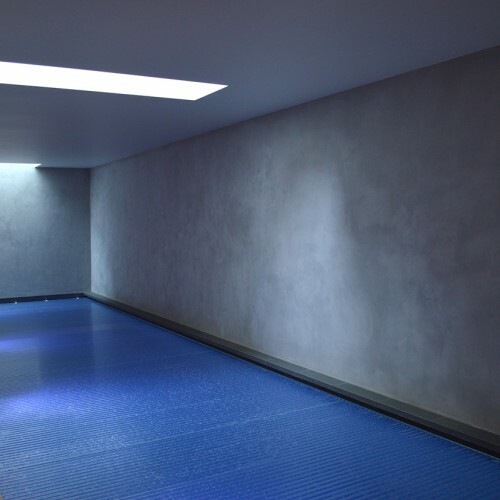 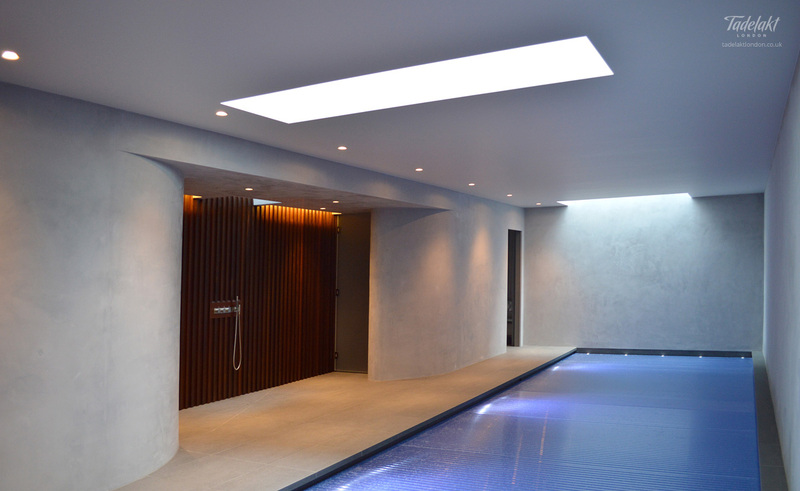 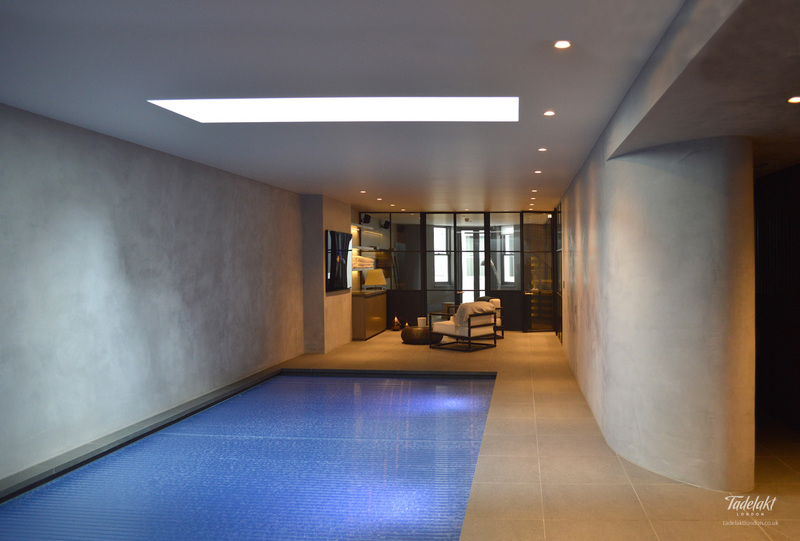 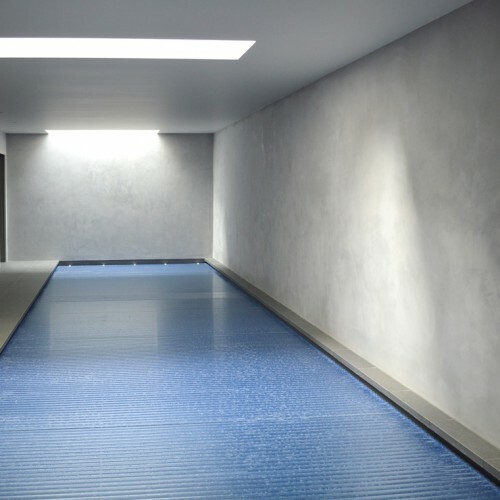 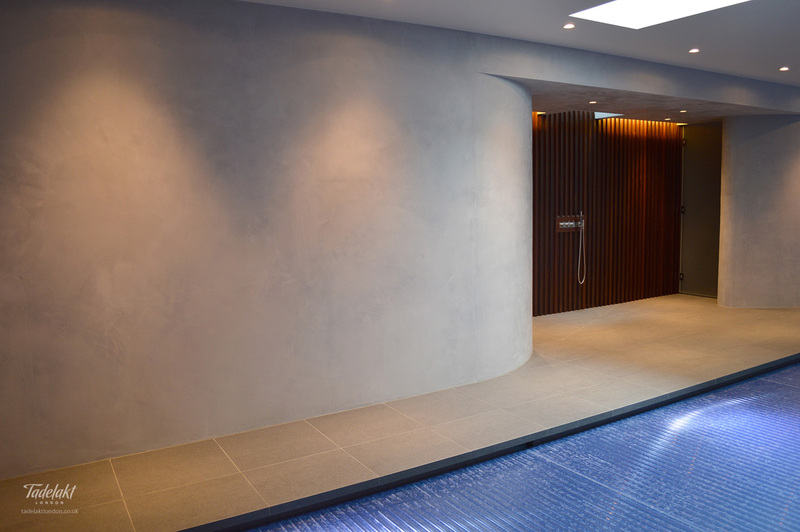 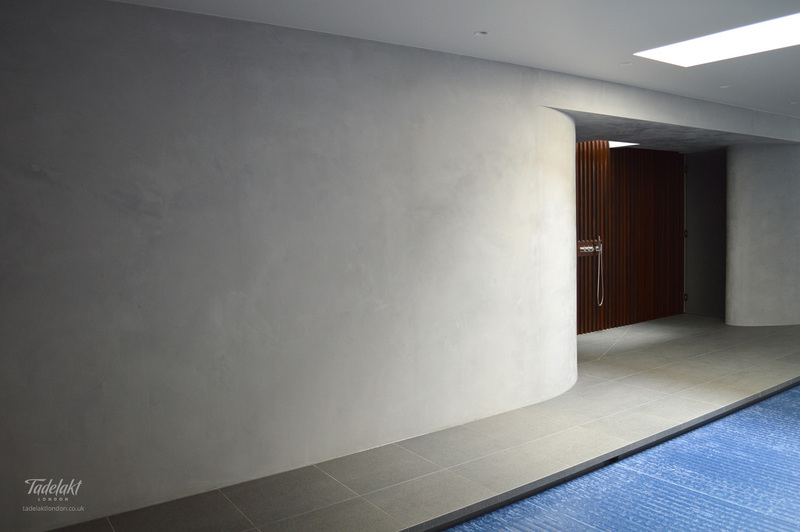 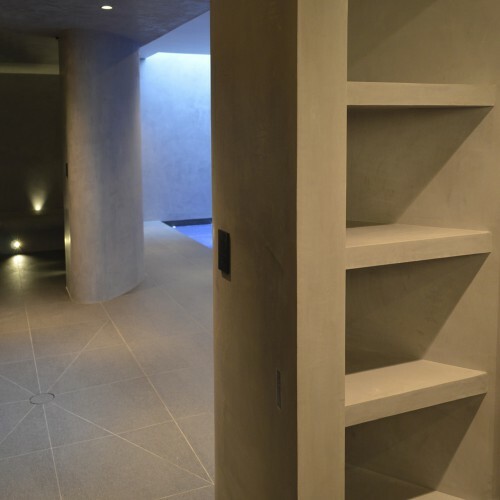 This well-lit basement pool area features soft grey walls splash proofed with Tadelakt. 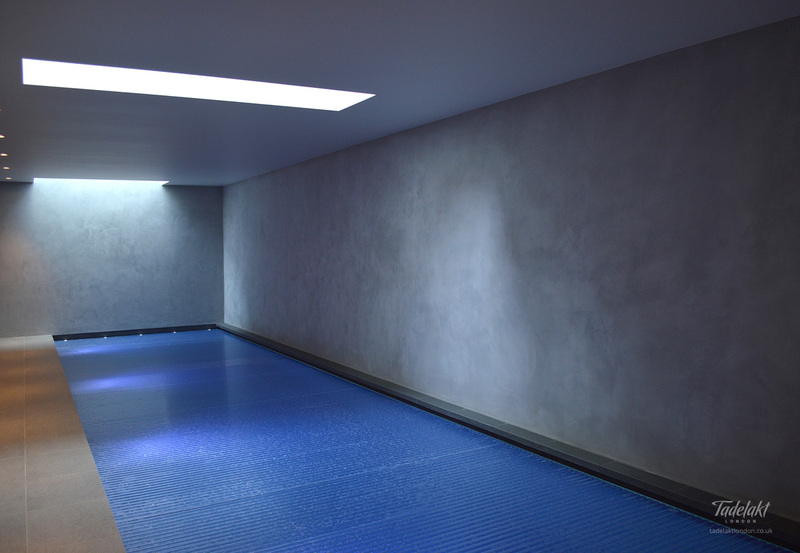 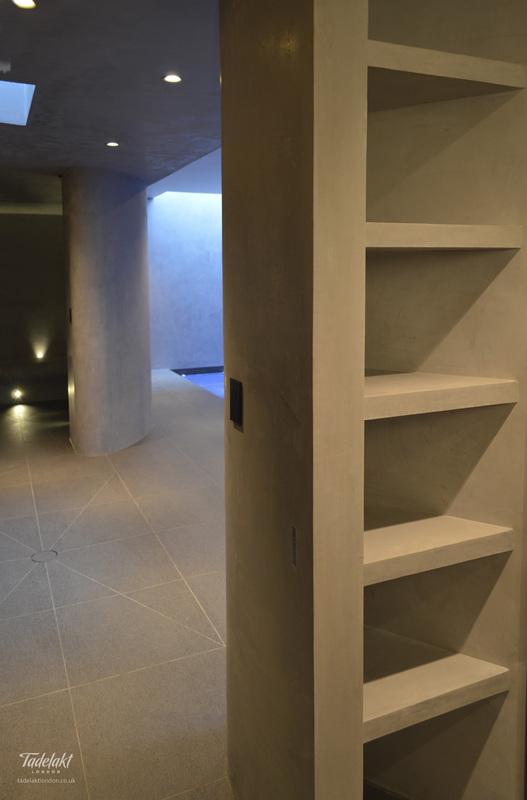 A steam room, custom shelving, and wash-up area have also all been finished in this water resistant plaster. 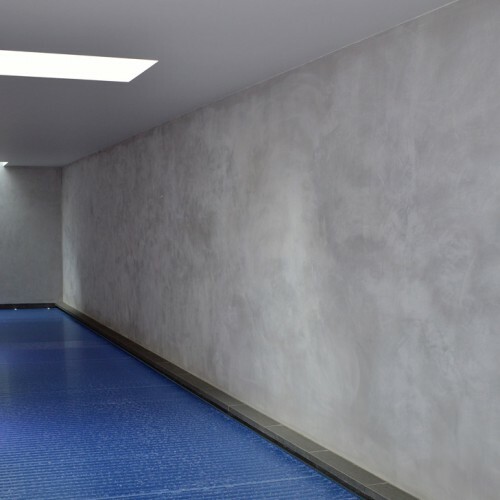 Tadelakt provides a long lasting, low maintenance finish that resists mould. 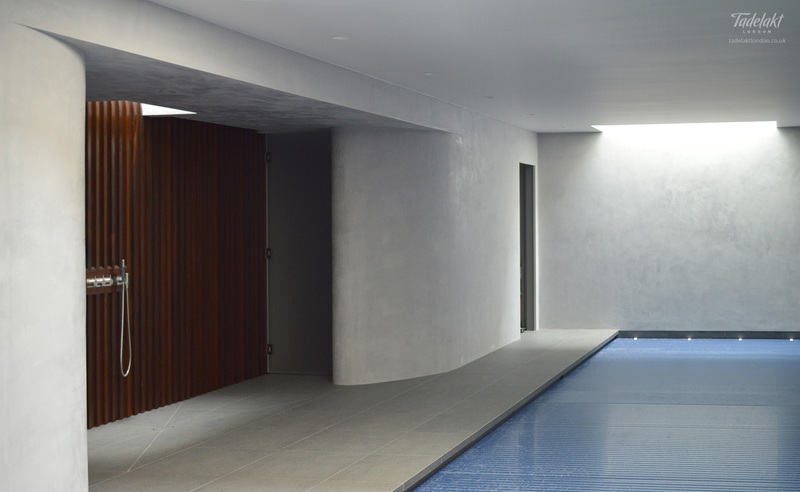 This twin house project featured two swimming pools.